If you are one of the 30,000 or so neuroscientists attending the Society for Neuroscience (SfN) 2016 meeting in San Diego that starts this weekend, then make sure you watch this session on engaging institutions about animal research. Description: Worldwide, researchers are engaging the public to increase the understanding and need for animals in research. However, scientists need research institutions to facilitate greater openness about animal research conducted on campus and to reject the fear of attracting negative attention. 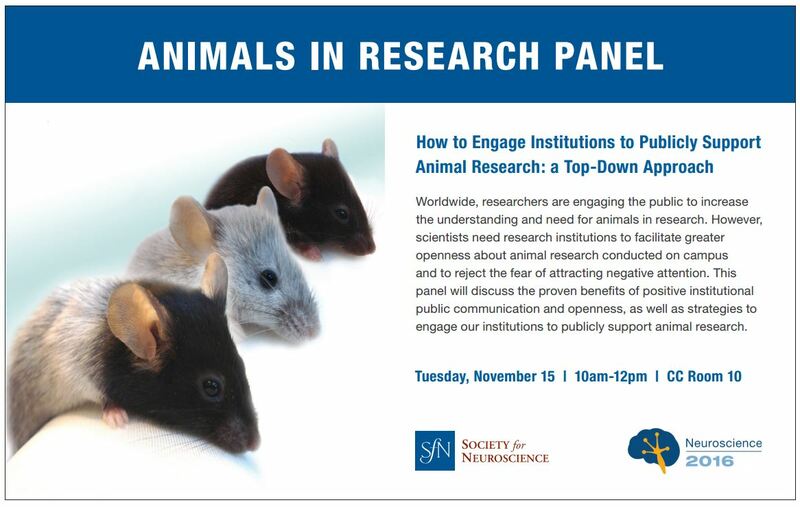 This panel will discuss the proven benefits of positive institutional public communication and openness, as well as strategies to engage our institutions to publicly support animal research. 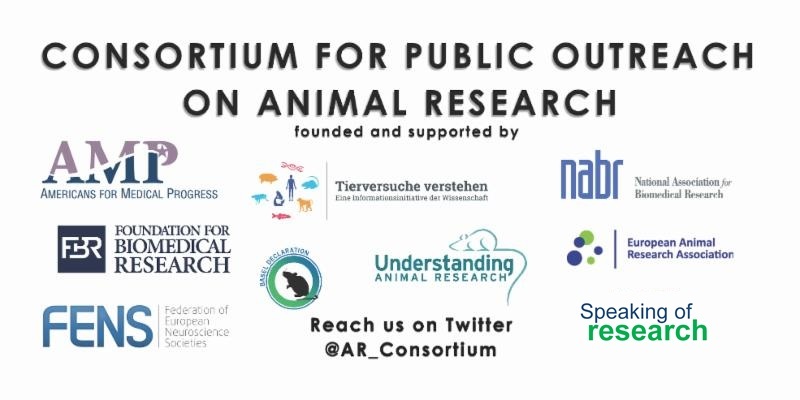 Separate to this meeting, you should check out Booth 4216 in Exhibit Hall to talk to the Consortium for Public Outreach on Animal Research (@AR_Consortium) of which Speaking of Research is a member. Posted on November 10, 2016 November 10, 2016 by EditorPosted in News, Outreach News, SR NewsTagged Consortium for public outreach, SfN, Society for Neuroscience.